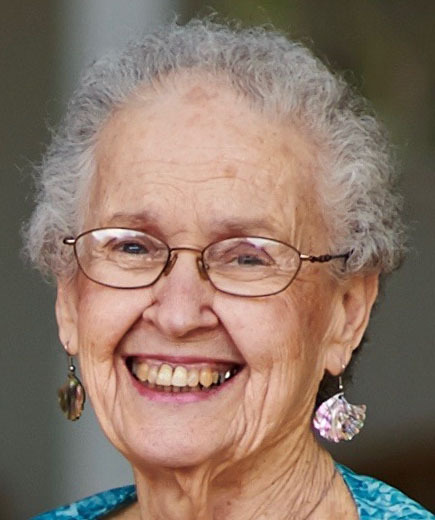 Reba L. Taylor, 88, of Washington passed away Monday, February 4, 2019 at Unity Point Health Proctor in Peoria, Illinois. Reba was born April 2, 1930 in Hamilton County, IL to Virgil and Lela Snyder, she married Renice H. “Bud” Taylor on April 30, 1949 in Hamilton County. He preceded her in death in 1995. Surviving are two sons, Alan of Indianapolis, IN and Scott (Kristel) of Morton, IL. Also surviving are a grandson Shannon (Laura) Taylor of Orlando, FL, a granddaughter Alyson (Chris) Baker of Morton, IL and four delightful great-grandchildren Ashley, Lynlee, Matilda and Ainsley. She was a data punch operator at Illinois Mutual Life and Casualty Company, retiring in 1961. Reba was a member of Roland Manor Baptist Church in Washington where she enjoyed working in the office and singing in the choir. She had a stunning voice. Reba loved, cherished and supported her family through all of their joys, trials and tribulations. She adored her travels with Bud, and will now get to see him again in the hands of her loving Savior. Funeral services will be 11:00am, Monday, February 11, 2019 at Mason-White Funeral Home in Washington. Pastor Steve Hardin will officiate. Visitation will be one hour prior to her service also at the funeral home. Burial will be in Glendale Cemetery in Washington. In lieu of flowers, memorials in her name may be given to Roland Manor Baptist Church. To share a memory or send a condolence for her family, visit www.masonfuneralhomes.com.